Another weekend forecast for rain caused Dallas city leaders to hold a meeting at the Emergency Operations Center late Monday afternoon. Officials tell NBC 5 they are not expecting any major flooding, but just want to be sure everybody is on the same page. The Trinity River is at the highest level it has been at in years. 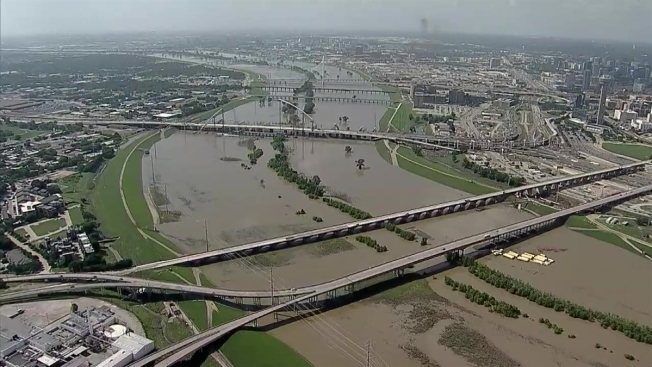 But changes to the levees and the city’s pump system have kept water out of the communities, especially those in West Dallas. Rocky Vaz, the Director of Emergency Management, says they have identified areas west of the Trinity that are at the highest risk for flooding, and have an evacuation plan, if needed. “We know where they are. We have plans. We know we will have eight to 12 hours before there is any flooding. We will have that much notice to knock on doors if we need to,” Vaz said.